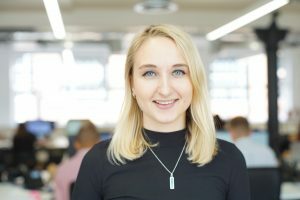 I graduated in 2016, so haven’t been in the workplace for too long – after my Msc degree in Mathematics, I spent time travelling/volunteering in Central America. Prior to here I worked as an analyst in a Media Agency, then joined the business on the Insight and Decision Science Graduate scheme. This can change a lot depending on which phase of a project I am in. It may include meetings with senior data scientists to define the scope of a project or discuss next steps, working out new ways of writing an efficient piece of code, or analysing model results to find the key insights with which to advise stakeholders. After starting with no Python experience, developing code which other people can use and adapt to quickly reach modelling results in their own work. I enjoy that I learn something new almost every day. I feel that I am always developing myself here, which has been in no small part thanks to my colleagues, who have always been happy to help. I think I have a good work/life balance. I feel fortunate to have been given time for development and to up my coding skills, and although I have put in a few extra hours at more challenging parts of the process, I think that is part of the learning curve. I think working in technology can be a bit overwhelming, as there seems to be an infinite amount of code and concepts to learn. I think it’s best to accept you can’t digest it all at once, and to work with what you do know. It starts to make more sense eventually.